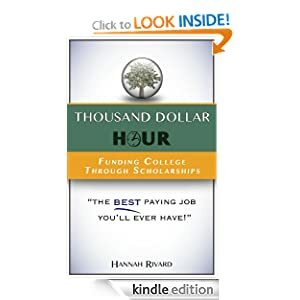 Thousand Dollar Hour: Scholarships from the past: Are old scholarships still available? Scholarships from the past: Are old scholarships still available? "CLICK HERE to apply for our 2009 scholarship!!" Even scholarship providers can be a little late in updating their website! Now, that doesn't necessarily mean the scholarship was a scam -- not everyone gets around to updating their website. But it's something to remember: To help decide if a scholarship is worth your time or valid, check out the website and make sure it's up to date, or even e-mail the scholarship provider to see if they respond and are still hosting the scholarship if you're in any way concerned it's invalid. This will help you find out whether it's still going -- or whether it's a dud. And finding out will put you ahead of the other scholarship applicants who will probably just assume it's no longer being held -- and that'll help you fund college through scholarships.